Located in a former warehouse in Omaha's historic Old Market district, this 1,700 sf space set out to fit the needs of an avid art collector and entertainment maven. The monochrome palette paired with natural materials of weathered steel and existing brick walls set the canvas for the client's artwork to be displayed. 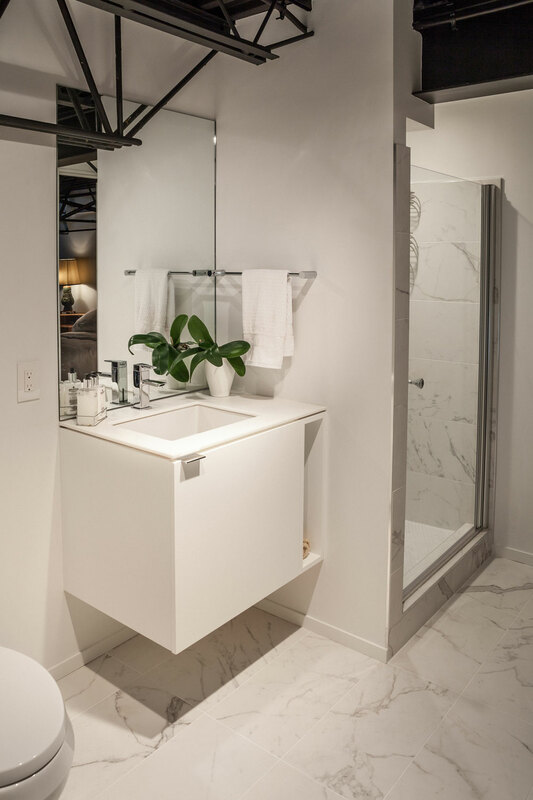 The opacity of materials increases towards more private spaces away from the south facing windows, which provide natural light to every room in the condo. The double-height entertainment space allows for large gatherings and flexibility for cozier configurations.